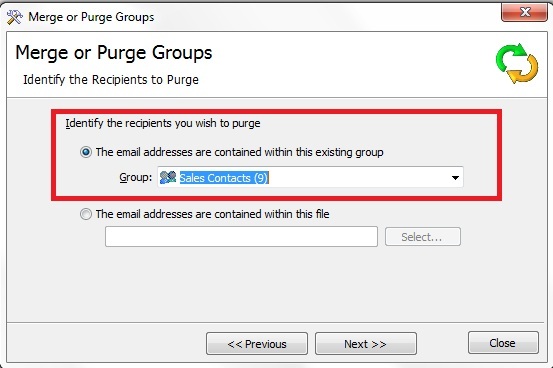 You can Purge (or Merge) your email groups against one another using the Merge or Purge feature. The GroupMail Purge feature allows you to remove duplicate e-mail addresses from groups. [For example, if you have duplicate e-mail addresses in a Marketing Newsletter group and a Customers group: you can purge the duplicates from one of the Groups, making sure there is no cross over (duplication) between your groups]. 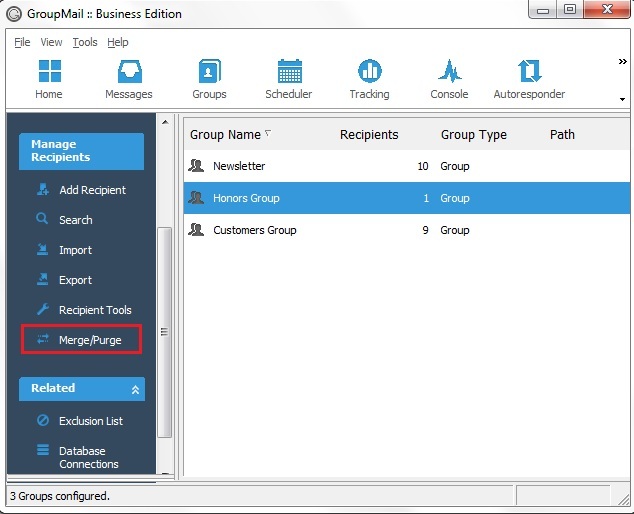 To use the Purge Feature, go to Groups screen, then select Merge or Purge from the navigation panel on the left-hand side of the screen OR by right-clicking a group and selecting Merge or Purge Groups. 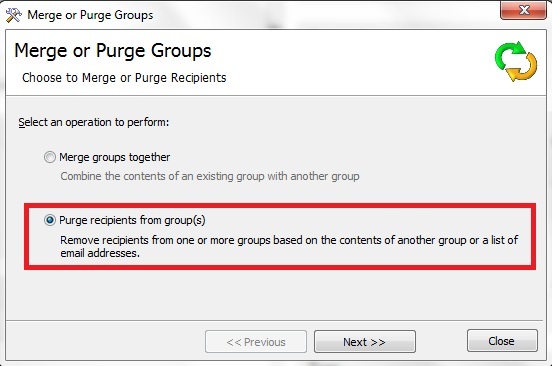 On the Merge or Purge Groups screen select ‘Purge recipients from group(s)’. 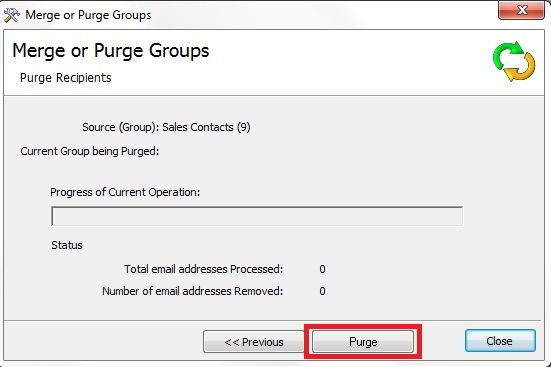 You can Purge one Group against one or more Groups to remove any duplicate Email Addresses. Note: If the recipients you wish to purge from your group(s)are stored in a .txt file you should select the ‘The email addresses are contained within this file:’ option, then click on the button with the two dots .. to select the actual file. You are now ready to start the Purging process. Click on the ‘Purge‘ button to proceed. Note: Once you click Purge there is no way of going back, the results are not reversible. So, it is advised that you make a� Backup of all your Groups using the GroupMail Backup and Restore Add-on before purging groups. Once Purging has completed it shows the number of recipients that have been purged. To Review the Log File, simply click Yes. The results of the Purge are then available in this Text File for review. Interested? Get a grip on your groups with GroupMail email newsletter software.